A calculator, surrounded by mathematical symbols, is shown in front of a globe background on this fantastic achievement medal. This would make a great participation medal to reward to every student, and at a solid 6mm thick, they are real value for money. 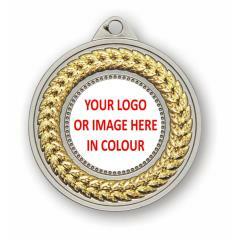 Available in antique gold, silver and bronze with your choice of ribbon colour.